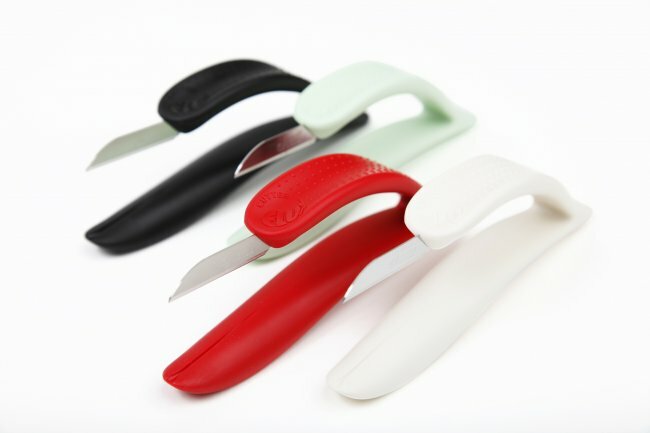 The FLUX herb cutter cuts like a razor blade and does not squeeze. 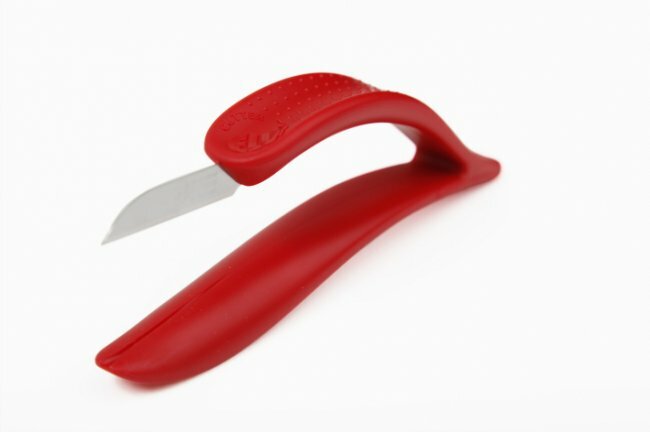 The specially hardened and stainless steel „Made in Solingen“ is extremely strong, durable and does not bend. You can clean lamb´s lettuce fast and efficiently. Put your thumb on the limb opposite to the blade, the forefinger on the FLUX logo.